For the price of a low-end PC plus a monthly fee you'll soon be able to play ultra-high-end games like Borderlands, Mass Effect 2, Assassin's Creed 2, and Crysis. According to VentureBeat, the service, dubbed OnLive, will launch in June after eight years of research and development, offer up to 720p-caliber high-def gameplay, and cost $14.95 a month. 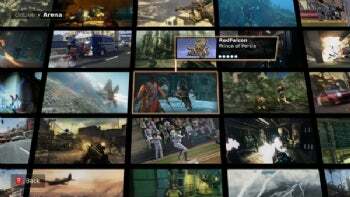 Billed as a games-on-demand service, OnLive handles all the intensive game processing on the server side, so your local computer doesn't have to. What you see is tantamount to a "screen-scrape" video feed send to your client device. All the intensive computing that might normally convert the insides of your homebrew rig into a mini-bake oven renders instead in the cloud. It's an ancient concept in computing terms--the model's existed since mainframes and green-screens, in fact--but until recently, no one's come up with a system to transfer high-bandwidth video with low enough latency to pass muster with gamers. OnLive claims it's beat the latency issue, though recent beta reviews claim otherwise. It sounds like less motion-dependent games (think casual stuff, puzzle games, platformers, etc.) fare better, while first-person shooters and real-time strategy games and anything with lots of camera-related spatial motion can lag pretty badly. The speed of light is a fixed constant that makes latency a non-negotiable problem for any sort of effort like OnLive and an army of developers are busily explaining on the internet right now how there is no way to avoid dropping frames from any game due to it, return rates, etc. C is fixed. The rate of data transmission across optical is generally 33-66% of C depending on conditions (and not counting packet routing etc.). Server side "proper" gaming is a dream. We've seen these sorts of claims before about instant compression and the like and they always fall apart because whatever the coolness of the compression it is never a 0ms operation to unzip, interpret and re-submit instructions back to it. It doesn't matter how lean the packets are. Server-side gaming can never beat the locality of a processor for transmission speeds, which is why it is best suited for network gaming between two local machines. At least in that scenario latency can be corrected and adjusted, but it can't if the whole thing is server-side. C is a physical constant. End of argument. My prediction: The system's not up to snuff for enthusiast-caliber motion-intense gaming (yet, or possibly ever, given the laws of physics) but could go over swimmingly with casual gamers. The future of gaming? The future of some aspects of gaming, not all.